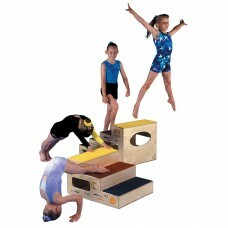 A magical introduction to gymnastics and movement for 2-11 year olds. 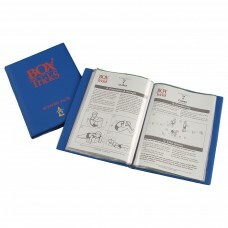 Box of Tricks is a compendium of small games apparatus housed in a compact combi..
With gently sloping sides, generous padding and non-marking rubber feet, Box Top can be used alone as a training aid or attached (by four hook an..
A complete Support Pack assists educators in unlocking this treasure chest of gymnastic and movement skills. Comprehensive notes on the safe usage an.. Under the guidance of the Support Pack, these simple PVC covered cubes lead the way to the development of strength, condition, flexibility and locomot..
Catching the Hook and Loop bean bags on the bases of the Grip Poles is a great ‘game’ for learning the grip and wrist actions that will be n..
A bright new approach to the development of scrambling, climbing and jumping skills. The padded top incorporates marker shapes which act as ‘signals’.. 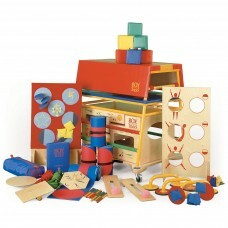 Simply assembled by the children, this target board game combines skill and chance to keep children moving and thinking. The sewn on logos suggest lo..
Again combining elements of skill and chance this Plain Target introduces youngsters to the idea of different body shapes at various heights. 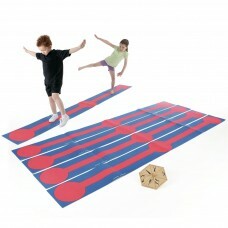 Complet..
A whole-class aid to warm-up activities and gym rope games. Promote a revival of traditional skipping rhymes. Play the ‘Washing Line Game’ – childre..
Classic fitness fun! 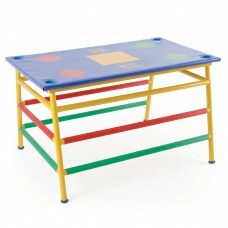 These star-studded units have colour-coded carpet covered treads and non-marking rubber feet. Work on cardiovascular activity w..
Each Stripline has a soft carpet surface bonded to a hard-wearing rubber anti-slip base. 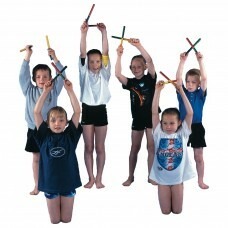 Striplines are used to develop movement and sequence buildin..
Used by generations of children in schools and gym clubs, the Support Pack shows how indispensable these Tapsticks are for rhythm and aerobic activiti.. 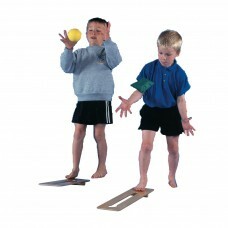 The Support Pack describes the use of both types of board to exercise and tone muscles as the child seeks to control balance or create movement. Part..